So, you’re a Magic: The Gathering player that’s interested in playing poker competitively. First of all, great idea! Poker and MTG have a ton in common. There’s a reason many poker players have emerged from the MTG scene. If you’re a winning MTG player, chances are you have what it takes to be a winning poker player. You stand to make significantly more money (even as an average winning player in your local casino) than some of the top MTG players in the world. This two-part series was specifically written with you in mind. We want to set more MTG players on the path to becoming a winning poker player. Part 1 thoroughly introduces you to the game, Part 2 compares MTG strategies to poker strategies, illuminates important commonalities and differences, and includes a bonus interview with MTG-player-turned-poker-pro Jonathan Little, a Red Chip Coach with millions in live poker winnings. Besides the richer prizes, being a winning poker player means more freedom to play MTG, so it’s the best of both worlds! There are essentially two ways to play poker: cash games and tournaments. Cash games are played for the money (chips) on the table. Tournaments are played for prizes paid to the top finishers, more like your typical MTG competition. Play strategies in cash games and tournament games are going to be very different, but the rules are essentially the same. Tournaments are nice because you risk a set amount, but when you lose all your chips, you’re done (unless there is a rebuy period). With cash games, if you lose all your chips, you can buy back in an unlimited number of times. As an MTG tournament player, you may gravitate towards tournaments, where huge scores are possible, but far from probable. Or, you may take more of a liking to cash games, where the opportunity to earn money consistently is much greater. We’ll discuss both. More good news: The rules of poker are far simpler than in MTG. You can Google the basics and be playing on any number of play money apps and sites in minutes. Be careful though, you can pick up some pretty bad habits if you stick around play money tables too long. But it’s a great way to get your feet wet with no risk. When you’re ready to step it up a notch, freerolls are a great place to start. A freeroll is a poker tournament that is free to play, but pays out real (but usually very small) cash prizes to the top finishers. They are essentially a promotion put on by poker sites to bring people into playing for real cash. Once you feel comfortable, it’s time to dive in with real money if you’re determined to be competitive. It helps immensely with learning to have real skin in the game. Don’t worry, you don’t have to risk any more money than a decent deck would cost you. Finally, do your research! It’s a good idea to study up on poker for at least 1 hour out of every 6 or so hours you play, especially when starting out. Clearly, we can’t get into all the aspects of how to play poker here. Read articles and books. Watch poker videos. Analyze hands you’ve played and look for patterns of mistakes that you can fix. We have a whole blog post dedicated to learning poker for free. One of the biggest reasons why poker and MTG share so many players is that both games feature an exquisite balance of luck and skill. Unfortunately, poker has a reputation as gambling, whereas MTG is seen as more of a game of skill. In reality, poker is arguably as much if not more cerebral and complex than Magic, and requires a formidable intellect to master. Make no mistake: poker is gambling. But it’s different than every other form of gambling in two major ways. First, understand that in every casino game except poker, the house always wins. The gambler never has more than a ~49% chance of winning. They may win in the short term, but they will always lose in the long term unless they quit while they’re ahead. In poker, the casino (“the house”) rakes the pot. This means that in every hand of poker played, the poker establishment will take a set percentage of the chips wagered for itself, kind of like a tax. It’s a small percentage, but one that definitely eats into your profit at the table. The house still wins every time it collects the rake, but you’re not playing against the house, you’re playing against the other players… and yourself. Second, poker and MTG both have huge luck elements, and yet the most skilled players consistently win. That’s because the skill element of both games trumps the luck element. The effect of luck on your poker game is called “variance”, and you should expect a lot of it. There are many variants of poker, just as there are many variants of MTG. The vast majority of competitive play is in No Limit Texas Hold ‘Em. That’s what most players are playing, from the World Series of Poker down to the kitchen table home game. Just like MTG, you will enjoy the more exotic formats immensely once your core knowledge of the game is solid. Until then, focus on NLHE. It’s the “Standard” of poker. Actually, NLHE is so dominant in popularity, it’s like Standard combined with Modern and Limited. We encourage you to check out the many online resources introducing beginning players to the game, as it would be a waste of time to get into all of that here when it’s been done so many times over. 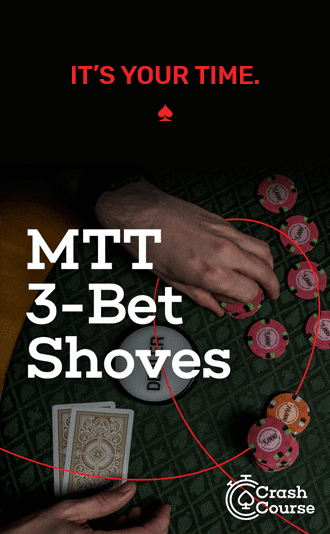 So, from here on out, we’re going to assume you have caught yourself up to speed on the basics of the game like hand rankings, blinds, calling, folding, raising and the like. As we said, it’s way simpler than MTG and you’ll pick it up in no time. As we mentioned, one of the biggest differences between MTG and poker is the money involved. While MTG isn’t cheap to play by any stretch, you are making an investment when you purchase cards. In poker, you are making an investment in each hand you choose to play, and the outcome follows immediately from the player who shows (or doesn’t show) the winning hand. Cash game poker is played at varying stakes called “levels”. Levels are denoted by their small and big blind amounts. For example, $1/$2 is the most common level played in casino poker rooms. Usually, you can buy in for as little as $60, or as much as $300. No matter what stakes you play, you can cut the risk of going broke to almost nothing if you follow proper bankroll management. Set aside an amount of money you are comfortable investing in your poker game. Then stick to stakes you are “rolled” to play. How much should you have in your bankroll? You will get different answers from different people. Our own coach James “SplitSuit” Sweeney recommends 20 buy ins minimum. This way, you never risk more than 5% of your poker money in any one game. If you drop below the 20 buy in level, you can drop to the next lowest stake until you work yourself back up. It takes a while to be disciplined enough to manage one’s poker money correctly. After all, how many booster binge moments or “I need that card” kneejerk purchases did it take before you set limits on MTG acquisitions? Remember, in both poker and MTG you can and will win and lose money in the short term, but it’s what happens over the long term that counts. This may be your biggest challenge — finding a game at friendly stakes. There are basically four types of places to play “real money” poker: online, in a casino, at a home game, or in an underground club. In MTG, you’ve got access to MTGO 24/7 (well, as long as their servers are up). Unfortunately, at the time of this writing, online poker is only legal and regulated in three states: Nevada, New Jersey, and Delaware. Other states like California are moving forward to legalize it, but progress is slow and uncertain. Now, that doesn’t mean that you folks in the other 47 states are unable to play online. There are plenty of overseas operations that will accept your money. A word of caution: Getting money in their system is much faster and easier than getting it out, as you have to workaround US banks’ aversion to processing poker-related payments. Still, tens of thousands of players are still playing online across the country, and our forum is a good place to start getting recommendations on sites. If you’re outside the U.S., you’ll have a far easier time getting online as there are usually multiple sanctioned poker sites to choose from. Prior to the widespread shutdown of online poker in the US, the majority of players honed their skills online, and like many MTGO players, some avoided live play altogether. Today, poker’s limited legal status in the US has made it far less popular online, which has led to tougher games. But it’s still a great place to start because lots of other players are getting their start as well thanks to the lower buy-in amounts required. It’s possible to play $25 buy-in poker at $0.10/$0.25 blinds with a $500 bankroll and still be following proper bankroll management. Often you can go as low as $0.01/$0.02, with a $0.40 minimum buyin! 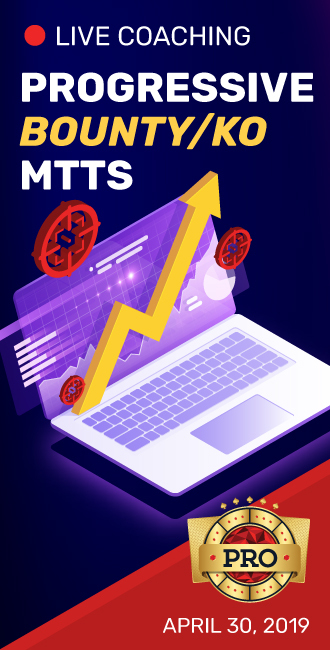 If tournaments are your thing, they are running around the clock, including the aforementioned freerolls, as well as single-table tournaments (STTs) and multi-table tournaments (MTTs). Most rooms will give you bonus cash for signing up and playing a certain minimum amount, so look around for the best deal. If you’re tech-savvy and know how to navigate the world of online payment transfers, you can be up and running in no time. Most serious poker playing in the US is taking place in so-called “brick and mortar” poker rooms inside and outside of casinos. This is generally referred to as “live poker”. It can be a little confusing — not all states have legalized gambling. Not all casinos have poker rooms. And not all poker rooms are in casinos. Luckily, it’s super-easy to search online to find poker rooms near you with something like the Bravo Poker app. If you’re fortunate enough to live close enough to a poker room and are a poker novice, take our bankroll management advice. You should really have a few thousand dollars set aside for poker, and a track record of winning at lower stakes online or in home games. Plenty of players dive right in at $1/$2, and as you can imagine, a bankroll can be built up quickly. But this is a dangerous move because it flies in the face of proper bankroll management. For this reason, we’ll skip casino poker for now, but it probably won’t be long before you walk into a brick and mortar room to test your skills, and we’ll be waiting here to give you advice when you’re ready. If you’re a MTG paper player, this is the venue for you. A home game is like the perfect blend of low-stakes, beginner-level play from online, and the social engagement of live casino play. 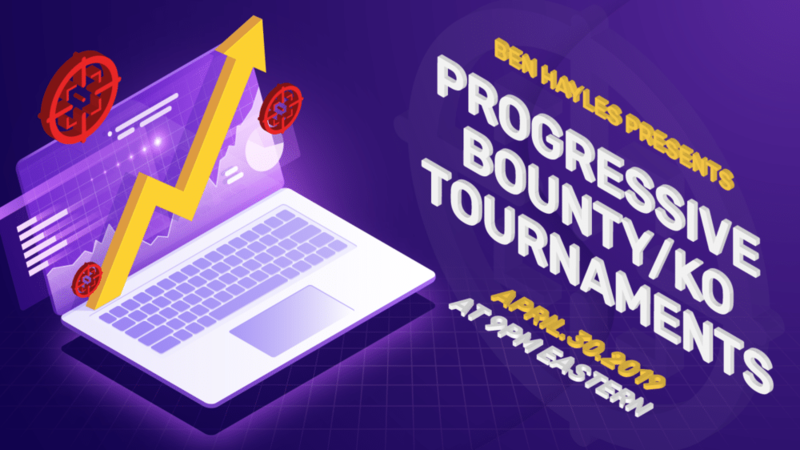 The relaxed atmosphere is perfect for folks just starting out, and if you’re serious about getting better at NLHE by playing more, hosting and/or attending home games is instantly accessible to pretty much everyone. Check your local laws — some states can get pretty strict when it comes to hosting home poker. But for the most part, low stakes home games aren’t getting busted unless something seriously criminal is going on. Before online poker, most people were introduced to the game around the kitchen table playing for pocket change or cheap plastic chips. Anyone can grab a deck of cards, a stack of betting objects, and call a few friends up. Learning the game is easy and the luck factor means even unskilled players can occasionally win big, so you’ll find it’s easy to get people excited about the game as long as you’re a good host. If hosting a poker game isn’t your thing, you can ask around to see if there are any games in your area, or use various online poker group meetup sites to find action in your neighborhood. We’ll give only a passing mention to these as they’re not necessarily the best breeding ground for novice poker players, though it has been known to happen. Underground rooms skirt or go over the legal limits on unlicensed gambling establishments. In places like New York City where poker players are dense but poker rooms are non-existent, underground poker scenes flourish. It’s likely if you live in a big city there are a few of these around, but they’re better left to a later point in your poker travels, if at all. Up to now, most of our advice could apply to any poker beginner. We know you’re already a gamer so we’ve been able to skip over a lot of details that we know you’ll pick up in your dedication to learning the game. And we’ve avoided making cheesy comparisons like, “Think of your chip stack like your life total” because we know you’re smarter than that! But you may be wondering, “What about all those MTG-specific skills that will make me a winning poker player?”, and that’s what Part II of this series is all about — enhancing your inherent strengths, and addressing potential weakness as someone with experience in MTG. Could you analyze a recent hand of mine? I was on the button with 30 BB and pocket 9c9d, UTG raises 2.5x, cutoff 3bets to 6x, I call. Flop shows 9h3dTd. It checks to me. I raise 30% of the pot, feeling committed. UTG folds, cutoff calls. The turn card is Jd, cutoff checks, I go all in. Before damage, my opponent casts Celestial Flare and in response I cast Dissolve. Would you have put the opponent on Force of Will given the run of play so far? Thanks for your help. You repeatedly stated that poker is much simpler than MTG, yet also stated that poker is more complex than MTG. That seems inconsistent. By the very definition of complexity, MTG is far more complex in most factors that could be accounted for. For example, in standard MTG, there are 1,357 possible cards that could come into play, versus poker’s 52. Poker essentially has a single card type; MTG has 7+. Poker has two important factors per card (absolute value and 4 possible suits); MTG has 154+ (P/T, 32 possible suits, and 151+ possible effects that could appear in combination). This is just a small example. I happily enjoy both games, but in terms of “complexity”, MTG is several orders of magnitude more complex than poker. It’s relative simplicity is why I like it. New players can pick up the game very quickly, because it is simple. At the high levels are very advanced poker players, of course, but what you are seeing is an extreme skill in something relatively simple, and it’s attractive to people primarily because of the high stakes.